The Klein Volunteer Fire Department (KVFD) is under contract to provide Fire Suppression, Rescue and Medical Emergency Assistance to the citizens of Harris County Emergency Service District 16 (HCESD 16). 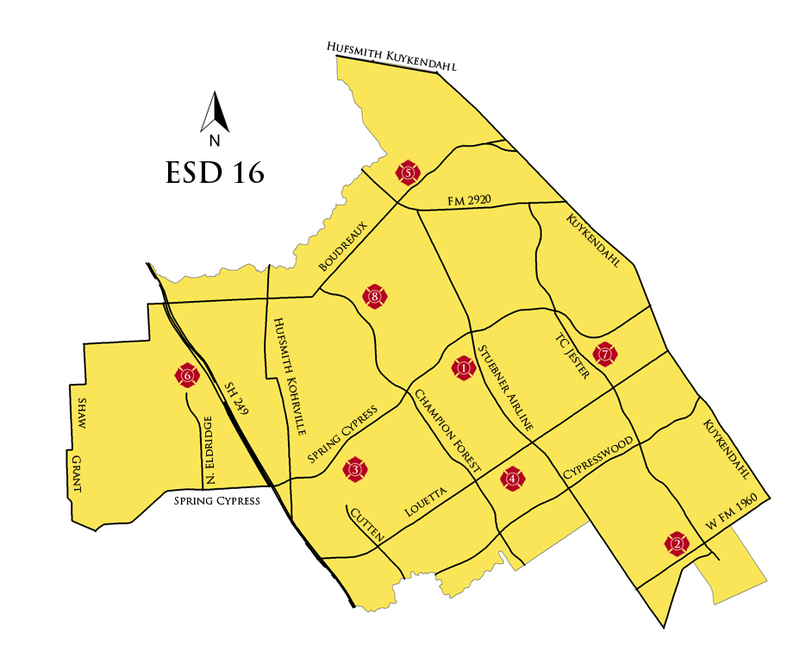 HCESD 16 is located in northwest Harris County and comprises the territory (~50 square miles) shown in the map below. KVFD is a nonprofit company, operating under the Texas Business Code. In addition the company operates as a ‘combination’ department with approximately 65 part-time commissioned fire fighters on duty during the daytime (6AM to 6PM) and 160 volunteers on call during the remaining time. Ten (10) corporate officers, eight (8) of whom make up the board of directors, operate the company. The board is tasked with determining the direction and course of the company. Each corporate officer has chartered responsibilities related to the operation of the company. The department has five (5) full time employees to manage the day-to-day operation of the company.